Two psychosocial approaches worked better than usual care for mitigating disability in chronic low back pain, researchers found. In a randomized controlled trial, both mindfulness-based stress reduction (MBSR) and cognitive behavioral therapy (CBT) improved function (P=0.04) and diminished pain "bothersomeness" (P=0.01) to a significantly greater extent than usual care at 26 weeks, reported Daniel Cherkin, PhD, of Group Health Research Institute in Seattle, and colleagues. "Following only 8 weeks of group treatment, patients who received MBSR or CBT showed some improvement at least up to one year later. This is an important finding that few other treatment options provide. 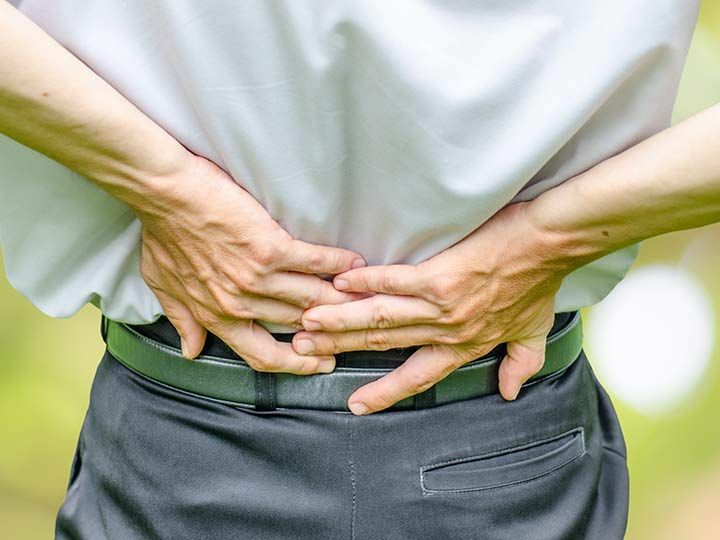 The difficulties of managing chronic low back pain demand such long-term solutions," they wrote in the Journal of the American Medical Association. The biopsychosocial approach to pain management has been gaining ground, most recently with last week's release of the National Pain Strategy, which emphasized the interdisciplinary approach over other forms of treatment. Physicians have also been looking for alternatives in light of concerns about the lack of evidence for using opioids in chronic noncancer pain, especially since the CDC issued guidelines last week recommending against their use in most forms of pain. CBT has been widely recommended for chronic low back pain, but patient access remains limited, the researchers said. Mindfulness-based stress reduction, which involves meditation and yoga, has only been studied in one randomized controlled trial limited to older adults. To further assess both therapies, Cherkin and colleagues studied 342 patients, mean age 49, who had chronic low back pain for an average of 7.3 years. Patients were randomized to usual care alone or in combination with either MBSR -- comprised of mindfulness meditation and yoga -- or to CBT with an established mind-body intervention to change pain-related thoughts and behaviors. These interventions were delivered in group sessions of up to 2 hours per week for 8 weeks. The co-primary endpoints were improvement in functional limitations and pain bothersomeness at 26 weeks. Functional limitation was measured by the modified Roland Disability Questionnaire (RDQ) and bothersomeness was measured on a scale of 0 to 10. Overall, the researchers saw similar improvements for both mind-body interventions at 26 weeks in an intention-to-treat analysis. The proportion of patients with clinically meaningful improvement in disability was significantly higher for both MBSR and CBT compared with usual care (61% and 58% versus 44% ), and the proportion of patients with clinically meaningful improvement in pain bothersomeness was higher for both MBSR and CBT (44% and 45% versus 27%), the researchers reported. At 1 year, there were still significant differences in both outcomes for MBSR versus usual care, but the benefits for CBT disappeared at that time, the researchers said. Still, they concluded that "mind-body treatments such as MBSR and CBT may provide patients with long-lasting skills effective for managing pain." Though the study was powered to detect differences between MBSR and CBT, it didn't find any -- a surprise to the researchers who theorized at the outset that MBSR would be superior "because it includes yoga, which has been found to be effective in treating chronic low back pain." Madhav Goyal, MD, MPH, and Jennifer Haythornthwaite, PhD, of Johns Hopkins University in Baltimore, wrote in an accompanying editorial that pain management is shifting away from the biomedical disease model toward the biopsychosocial model. They said the long-term findings of pain relief to some extent at 1 year were particularly meaningful. "This is an important finding that few other treatment options provide. The difficulties of managing chronic low back pain demand such long-term solutions," they said. They added that the outcomes in the trial are "noteworthy" given the low participation rates -- only 51% of those in the MBSR group and 57% of those in the CBT group attended at least six of the group sessions. "This level of participation is not unusual in mind-body interventions, yet an unanswered question is whether the results would have been different had attendance been higher," they wrote. "A critical component of self-management includes home practice and the daily implementation of skills learned," they continued. "Although it does not appear that this component was assessed in this trial, future studies should examine the relationship of home practice and skill development with clinical outcomes to enhance understanding of how these interventions work and help identify the most appropriate candidates for these treatments." While understanding these particular mechanisms may be important to researchers, Goyal and Haythornthwaite noted, these are "merely academic for many clinicians and their patients. For patients with chronic painful conditions, options are needed to help them live with less pain and disability now." The next challenge for physicians treating pain patients, they said, is finding appropriate referrals for mind-body therapies that patients can access and afford. Studies like these "create a compelling argument for ensuring that an evidence-based healthcare system should provide access to affordable mind-body therapies," they said.